Last night during Saturday Night Live's season premiere, Pete Davidson made a controversial joke that some people are NOT happy with. 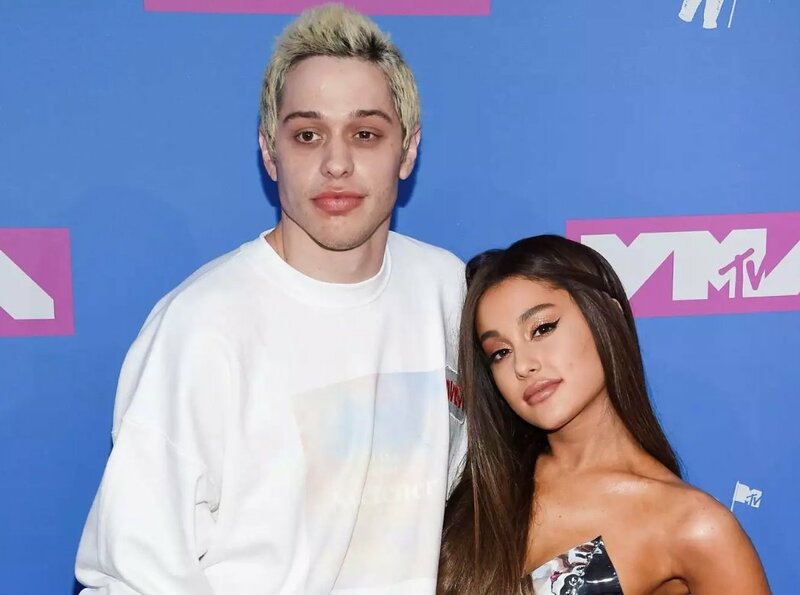 When Pete appeared on Weekend Update to talk about his relationship with Ariana Grande, he made a joke about how he was going to make sure that Ari stays with him. He said, "Last night I switched her birth control with Tic-Tacs...I believe in us and all, but I just want to make sure that she can't go anywhere." Oof. Yeah - that didn't go down well. Reproductive coercion is a bad thing. And you know why all this **** went down? "(West) started by saying that people backstage tried to bully him into not wearing it (a MAGA hat). He wore it all week. No one told him not to wear it," Davidson said. "I wish I bullied him. I wish I had suggested it might upset people. Like your wife, or every black person ever." What gives this pasty friggin douche child the right to speak for anyone, especially black people. Especially to a black person about black people ffs. What are you gonna laugh at him for? Trying to put that hot ***** on lock? Each of these tats might as well say "I **** top class *****". Welcome to the inherent racism in white black apologists. He truly feels he can speak for black people. It may be 'positive' in a overnuturing mother kind of way, but basically they aren't smart/strong enough to speak for themselves so he will shoulder the burden for them. The white privilege he probably espouses against is due to his own biases he projects onto everyone. well - how bout that, it appears my ISP is blocking access to Jew or Not Jew.com! I presume I am also now watchlisted, may as well move to China or Dubai, I hear both are wonderful countries. Last edited by ArakAtak; 10-17-2018 at 07:44..
Part Jewish or part black, or both. Either way, he's not white.